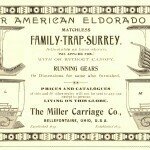 The Miller Carriage Company was established in 1853 by four brothers – Amos, Davis, Samuel, and Jacob Miller. As a young man, Amos Miller left home and went to Cleveland, OH to learn the carriage trade. 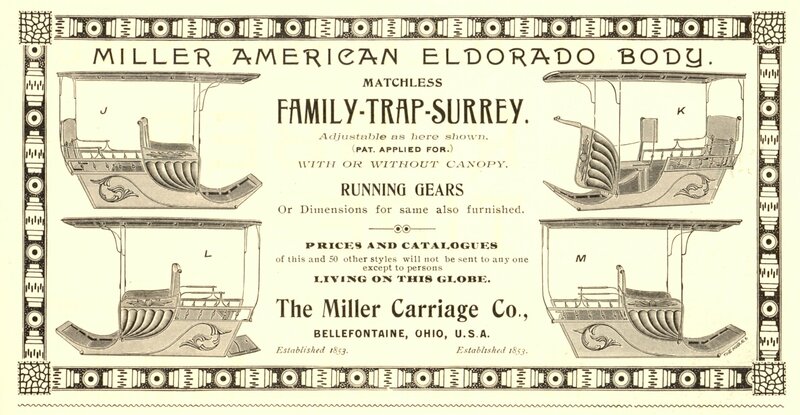 In 1853, in pursuit of a suitable location for his own factory, he settled in Bellefontaine, OH, where he was joined by his brothers in a partnership that lasted for 45 years. eureka used a unique set screw fastener instead of the more common spring lock. This gave the Eureka buggy a durability and solidness, and prevented the rattling that often plagued other shift-seat buggies. 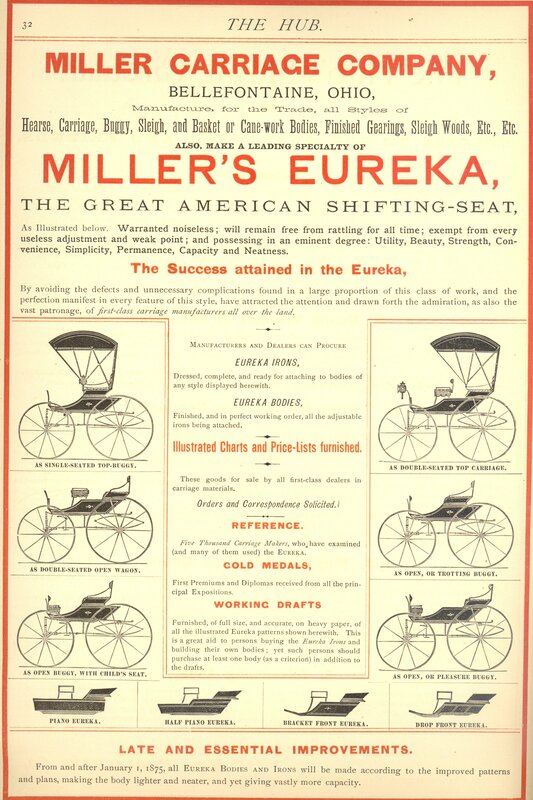 In addition to selling full vehicles, the Millers also sold the eureka irons on their own, which were often used by other manufacturers on their own vehicle bodies. 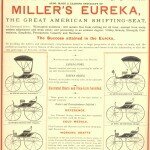 The Millers continued building high-quality, innovative vehicles until their retirement in 1898. During their careers, they even ventured into the field of auto body manufacturing. Amos Miller’s youngest son established A.J. Miller & Co. in 1884. He began his career manufacturing carriages bodies, but soon transitioned into automobiles as the demand shifted. By the early 1900s he had contracted with Meteor Motor Company for hearse work. Meteor excelled in manufacturing all-steel bodies for funeral cars and ambulances. The Miller firm remained in business, with various partnerships, until its last plant closed in 1979.